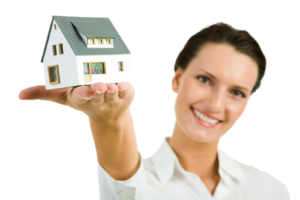 Why choose SI Real Estate to assist in finding your new home? Your decision to buy a home is both a sound financial decision and a commendable achievement. SI Real Estate and its agents are here to help you. Lead you through every step of the home buying process. Help you define your “wish list” of features you desire in your new home, neighborhood, and school district. Walk you through the mind-boggling financial details associated with buying a home, including understanding the various mortgages and home buying programs available to you and what will be expected of you at closing. Monitor all new listings in the Tampa Bay area, developing a personalized search and alert you when new homes that meet your specific criteria have just entered the market. Eliminate the stress that can be involved with buying a home by putting our many years of real estate experience to work for you. We will work with you throughout the process, insuring that all of your needs are meet. We know success depends on client satisfaction, which keeps us focused on our core values: honesty, integrity, trust, and dedication. We integrate these values into everything we do, using our diverse competencies to foster our clients’ purchase. Finding the perfect home in Tampa Bay for you is our business!